Just wanted to say thanks for indirectly informing me that this exists. I love Jugend and Whitehouse, but somehow wasn't aware of this project until now. Will definitely be seeking it out soon. This is one of my favorites as well but .. for a first jazz album? It took me many listens and lots of weed before this one really started sounding like music (take note uglyorgan) - and that was after I already loved Jazz. I agree that it's perfect though. 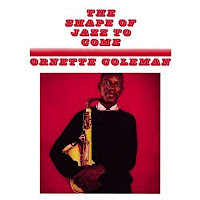 Ornette Coleman is probably my favorite jazz artist. A more accessible but still avant garde album of his is The Shape of Jazz To Come. I'll just download and listen to both. More music, more fun. I would have went for some Monk or Mingus for a beginner. Maybe not the best album for someone like myself, but I did enjoy this quite a bit. I'm gonna listen to it more and see if it grows on me. As it went on I got into it a lot more. For now it's a 7.5/10. Finished listening to the Paul Butterfield album RezZ sent me a while ago, and I'm really liking it!